Home Food Promo 1 PIZZA, 2 FLAVORS, 3 FREEBIES! Get FREE 1 Regular Spaghetti and Meatballs Pasta + 1 Regular Salt & Pepper Chicken Poppers + 2 Mountain Dew in Can, when you buy a 14" 2-in-1 Pizza (Classic)! That’s 1 pizza, 2 flavors, and 3 freebies! 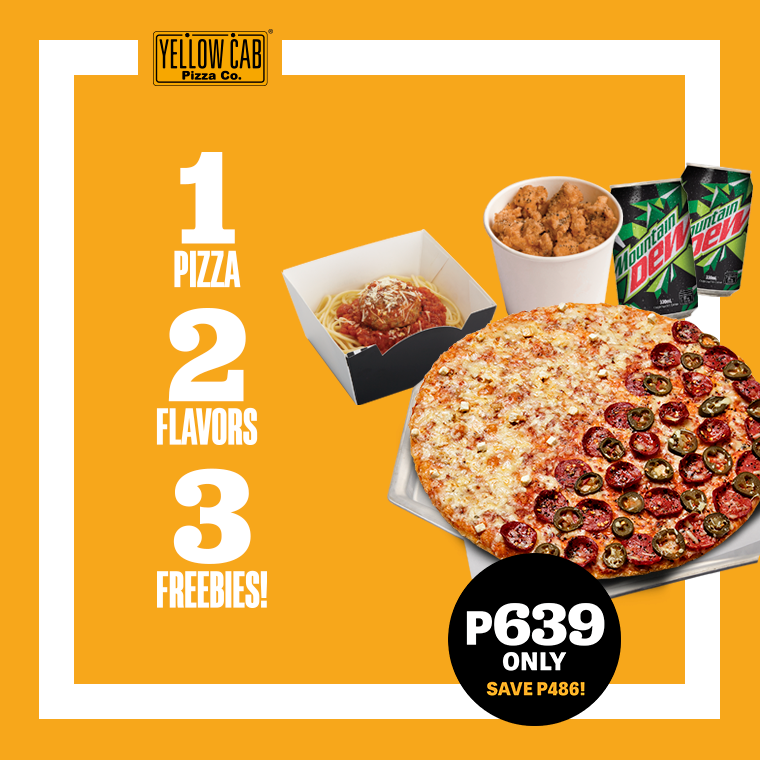 Valid in all Yellow Cab stores nationwide except Kidzania, MOA Arena, Brent, Camaya Coast, Subic – Sampson cor. Dewey Ave., Shell Mexico, San Fernando, Angeles - Sto. Cristo & Centennial.